2 PM GMT (30 min. 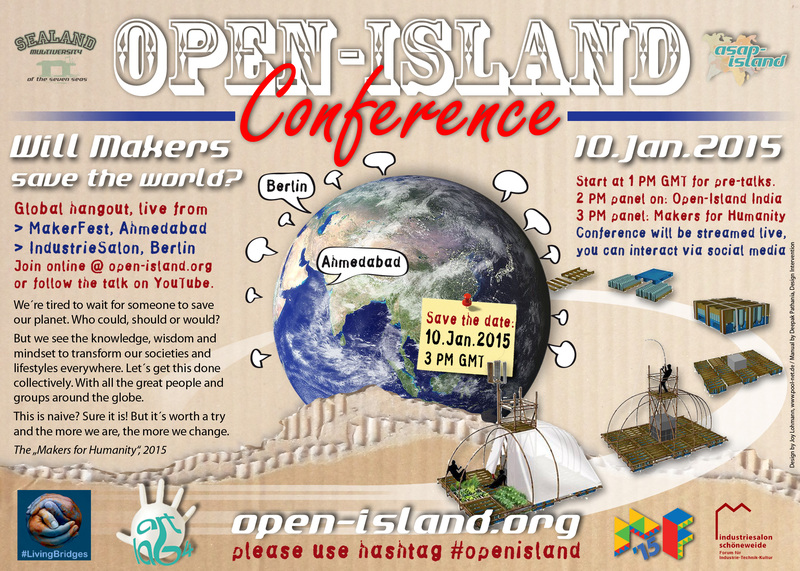 ): Directly from the Indian MakerFest in Ahmedabad, we first want to present and share an open island with you. 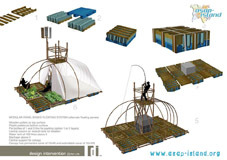 „Open-Island“ is a modular construction kit (and DIY-manual) for floating recycled islands to raise lowtech flood resilience in affected regions worldwide. 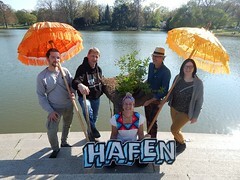 Shared Open-Islands provide common test grounds for useful applications and social entrepreneurships as well as platforms for local community building. (floating parties & concerts are also great… 🙂 Let´s also see the outcome of a 5-days Open-Island workshop with NID students live! Let´s compare ideas, projects and strategies for global change and see, if and how we can speed up the transformation through collective knowledge and wisdom, creativity and passion. The world needs an effective global community of „Makers for Humanity“ to save this planet! Where do such groups exist? 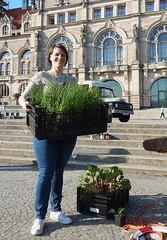 Can we bundle our efforts, cocreate and share open-source solutions and get in cooperative action?